Last edited by 66Sprint; 04-09-2019 at 04:31 PM. Why would you want to convert a disc to a drum brake anyway? That's going backwards performance wise. 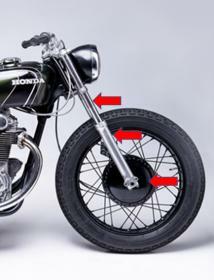 Options for front drum conversion for CB450? '72 450 mag wheel conversion AND rear disc brake conversion?